Fig. 2. Genotyping of the varieties using KASP and gel-based markers. Genotyping of varieties both tolerant and susceptible to submergence was performed by two developed KASP markers, Sub1A_SNP1 and Sub1A_SNP2 (A). 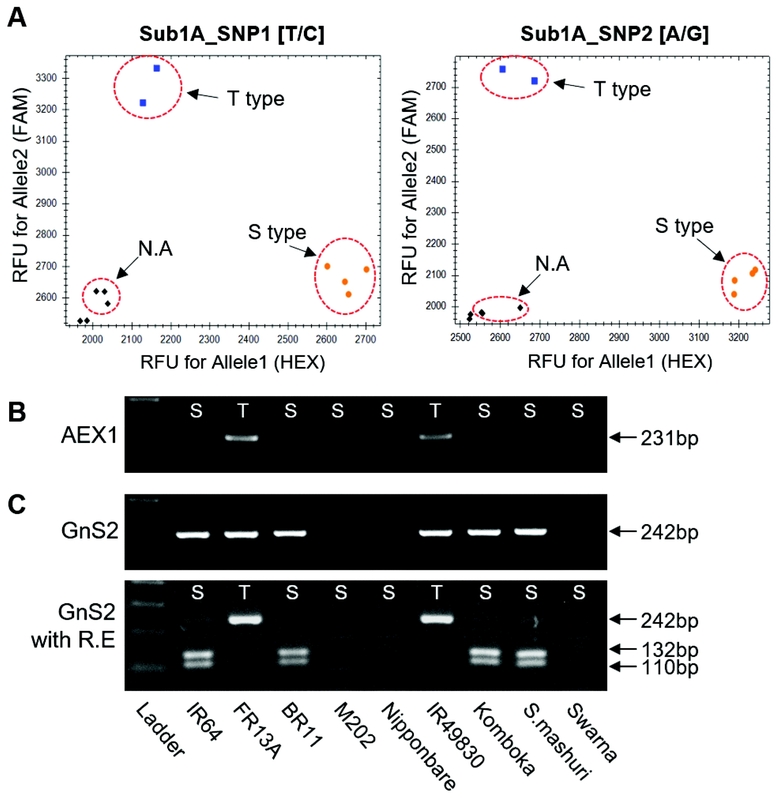 Genotyping with two gel-based markers, AEX1 (B) and GnS2 (C) was performed. Gel images before (upper panel) and after (lower panel) treatment of restriction enzyme are shown in (C). T: tolerance, S: susceptible, N.A: not amplified, R.E: restriction enzyme, Ladder: DNA ladder.